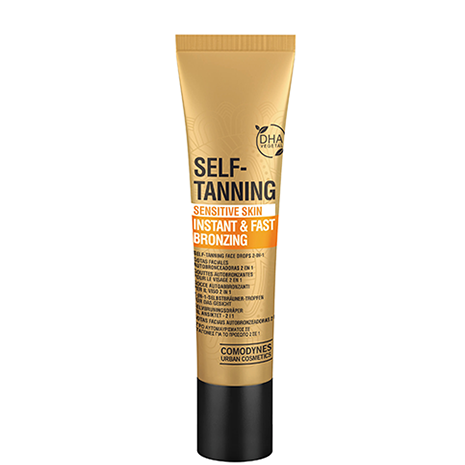 SELF-TANNING Sensitive Skin Instant & Fast Bronzing facial drops 2 in 1 that provide an instant, uniform and long-lasting tan from the first moment, which increases progressively and controlled within 3 hours of application. Apply evenly on clean, dry skin. Wash your hands after applying and wait until the absorption is complete before you get dressed to avoid staining your clothes. To obtain a more intense initial tan, use the drops 2 or 3 consecutive days, and then once every 3-4 days. You can also mix a small amount with your usual treatment cream. Paraben-free. Fragrance allergen-free. No added dyes. Does not contain sunscreen. Oil-free. Active that helps to get a tan from the first moment. 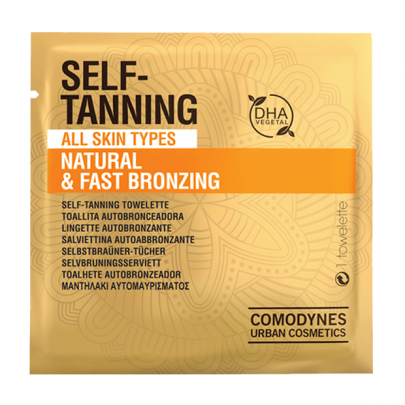 Self-tanning active ingredient of vegetable origin (cane sugar) that reacts with the proteins of the horny layer producing a colour similar to that of solar tanning, the duration of which depends on the time of cell renewal. 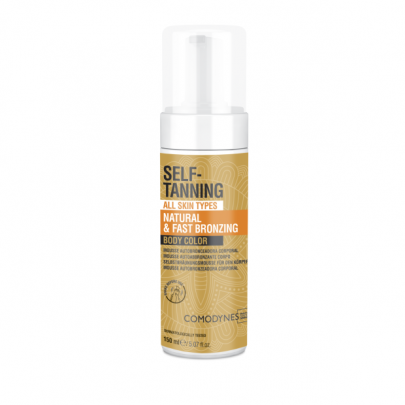 Active that provides a calming effect especially for sensitive skins. Improves skin microcirculation. An active ingredient that hydrates the skin. Reinforced action with FUCOGEL and GLYCERINE.